Storyhour is a great way to introduce your little one to the library. It is also a chance for the children to socialize and form friendships as well as an opportunity for you to socialize with other parents and caregivers. During Storyhour your child will develop early literacy skills by joining Ms. Teresa in singing, stories, dancing and crafts, all in a fun filled hour. NO registration is needed. This program is sponsored by the Friends of the Lakeville Public Library and is free to the public. Join our weekly group of mahjong players while they play this ancient Chinese favorite. Beginners and experts both welcome to come and enjoy with others who love this game. Looking for another excuse to work on your latest project? Bring it down to the Library any Thursday after 5:00 p.m. and work along with others who love yarn crafts just as much as you! Do you know how to play Cribbage? Want to learn a new game? Come down to the Lakeville Library every Thursday at 6:00 and learn this classic card and peg game! "The core of D&D is storytelling. You and your friends tell a story together, guiding your heroes through quests for treasure, battles with deadly foes, daring rescues, courtly intrigue, and much more." NO registration is needed. This program is sponsored by the Friends of the Lakeville Public Library and is free to the public. Please contact Ms. Teresa in the Children’s Room for more information. Miniature golf is coming to the library! We are happy to announce the first Friends of the Lakeville Library Mini-Golf Event. The library will become an 18-hole miniature golf course, with the course set up throughout the building. Players of all ages will putt their way through the library! Richard Wisniewski, our local genealogy volunteer at the Lakeville Library, is available the Library Reference Desk every 2nd and last Tuesday evening from 5:30 - 8:00. Genealogical research may not be for everyone, but if you have family questions you want answered, this is the place to start! No appointment necessary, drop-ins welcome! Science is everywhere! You don’t need to purchase a fancy science kit. We are going to explore STEAM around the library and use LEGOs and other common materials you can find anywhere to create a LEGO Zip Line!!! Participants will create transportation for a mini figure to zip down the line!!! This workshop is for Grades 3 & Up. Registration is required. Join us on the last Tuesday of every month. Newcomers always welcome. Copies of our monthly selection are available for checkout at the Main Desk. Our April selection is Astrophysics for People in a Hurry by Neil DeGrasse Tyson. 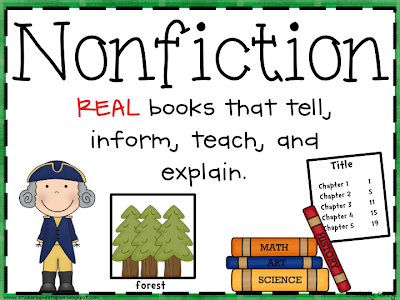 For this meeting we will be reading any Non-Fiction book we choose!!! Bookworms is a book club just for 1st & 2nd grade students and their parents/caregivers! The idea is that we all read the same book, just like a traditional book club. Then, we will gather to discuss and do activities. This makes reading social and engaging, setting the tone for a lifelong love of reading. Plus, it’s a great opportunity to spend time together, bond and discuss interesting topics. Want to try an instrument that is fun and easy to play? Join Julie Stepanek as she shows the fundamentals of ukulele playing. You'll learn how to tune, strum and read chords. After a short lesson, you'll be able to play some fun and easy songs. No experience necessary. Bring your own ukulele or borrow one of hers. Limit 24 participants. Please call the Library at 508-947-9028 to register. Do you crave feedback for writing work you are doing? Consider joining our new writers’ group! During this workshop we will be making a circuit with copper tape, a button battery and an LED light to make one of a kind light up art work!!! This workshop is for 3rd Grade and Up. Registration is required. This program is sponsored by the Friends of the Lakeville Public Library and is free to the public. Local author Laurie O'Neil will be in the Great Ponds Gallery with her niece and co-author, Marisa, for a book talk and signing of their book Graceful Woman Warrior. What do a retired policeman, a magazine humorist and a singer songwriter have in common? They are but three of five local storytellers that will take the stage at our first storytelling showcase. If anyone from the audience feels inspired to tell a five minute true story from their life, the showcase is leaving room for two tellers to share their story. Greg Brenton, of South Coast Story Slams, will be our guest host for the evening. If you’ve always wanted to experience live storytelling, but dreaded the long ride into Boston, now is your chance with this showcase right in your own backyard. Listening to stories from your friends and neighbors helps to forge strong bonds within the community. P.O.L.L. (Preserve Our Lakeville Landmarks) meets at 7:15 p.m.
Local author, Marie Dion, will be in the Great Ponds Gallery at the Lakeville Public Library for a book talk and signing of her recently published book, Journey of a Red Soul. 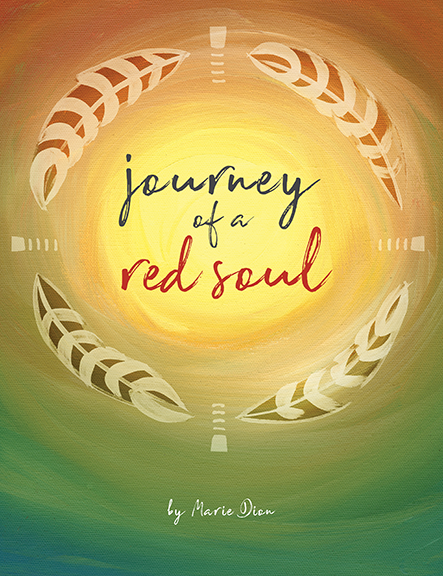 In Journey of a Red Soul, Marie traces her path of discovery, courageously standing in her Native roots, to share lessons learned in multiple previous Native lifetimes. 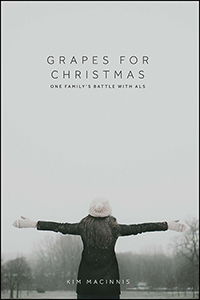 Grapes for Christmas is an uplifting story that takes place in the context of an ominous illness. The story focuses on a recently retired nurse and single mother who is diagnosed with ALS later in life when she should be enjoying her retirement. Grapes for Christmas shares the happiest times in Margaret's life, especially those that involved raising her children by herself and spending time with her extended family and close friends. This story is a bittersweet reminder of how valued family is and how the power of kindness and faith can guide and support us through the most difficult times in our lives. Kim MacInnis is Professor and Chairperson of Sociology at Bridgewater State University in Bridgewater, Massachusetts. She has been teaching for twenty-four years and has many published works including academic and non-academic topics. Besides "Grapes for Christmas", Kim has published two crime thrillers, "Hurting Girls" and "Presumed Safe" and recently published a textbook called "Social Problems: Societal Crisis, Capitalism and Democracy".